While having beautiful straight teeth is important, even more important is the need to alleviate any potential health problems associated with the teeth or jaw. Crooked teeth or jaw problems may contribute to improper cleaning of teeth, leading to tooth decay and, possibly, gum disease or total tooth loss. State-of-the-art appliances and treatments are now available, from traditional metal braces, to clear and tooth colored brackets, to NASA type wires that are heat activated and require fewer adjustments! Some patients may even be candidates for treatment with Invisalign, a revolutionary way to straighten teeth using clear, retainer type aligners that require no braces or wires! Orthodontic treatment can improve the appearance of your smile, and your health, too! 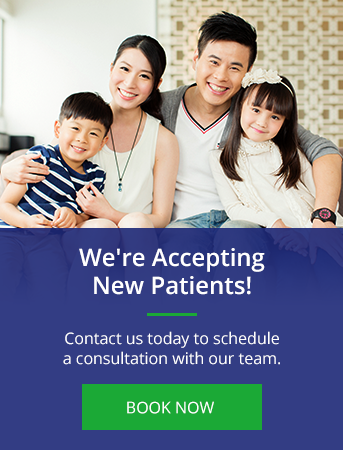 Contact our Surrey office today to get started with an orthodontic consultation.